Since May, 15 (#15M), thousands of women and men, mostly young ones, don´t stop declaring public square as an arena to express their political will and anger in Spain’s capital cities. Additionally, they make noise every day with pots and lids at 21h. The acampadas (protest camps) of indignadas / os (the the indignant protesters), claim to rebel: ¡indignaos! The reason for the wave of indignation that led to the protest camps: “With their protests, the people no longer made, but to bring to light that pay the crisis, only the workers and employees to get the banks and big business support and continue to achieve their gains, that the leaders act more like lackeys, the expansion of the corrupt members and corrupt institutions serve and that it is very bad for democracy.”, states Montserrat Vila (coordinator of the Platform against Gender Violence in Barcelona). In spring there were already mass protest mailings in the web MPs known to be corrupt on the electoral lists. On 15 May, the weekend before the regional elections this resentment manifested in the occupation of public places by the indignant – as they call themselves. 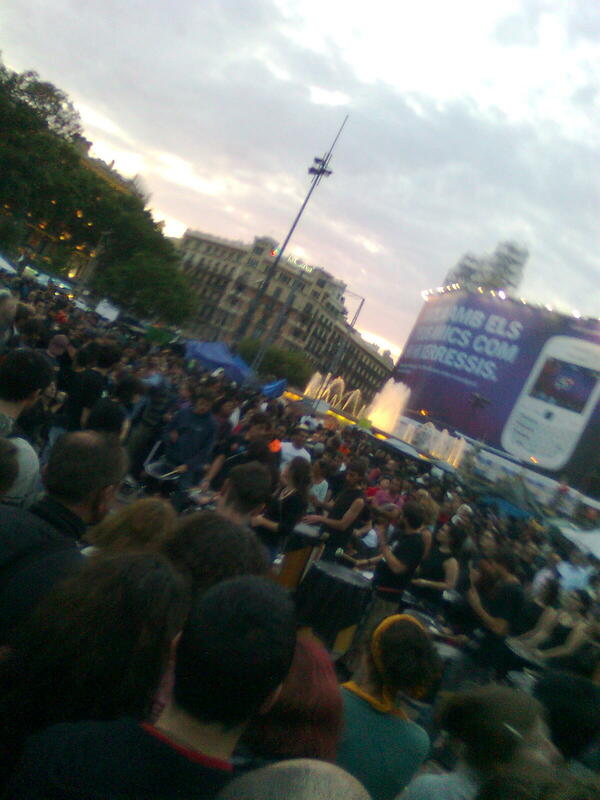 They installed protestcamps on the main public squares in Spain, for pacifist, non-violent and constantly discussing politics and policies, global system and regional needs, and the urgent need for a change. Society has to change to make things functioning better and so that not a small group in business and politics only serve their own interests instead of the needs of the majority, following the ideas of the protestors. This has led to today’s situation: 5 million unemployed, precarious labour market, pension cut, raising the retirement age, labour reforms for the benefit of companies, etc. Understandably, the protest movement is mainly supported by young people who find broad support among the population. While the EU average ranks at of 20% of jobless of –youth younger than 25, in Spain, 43.5% of adolescents have no job (10.1% in Austria, Germany 7.9%). In the protest camps they say, “We no longer want to be the commodity of the banks and politics.” They want change, real democracy and participation – NOW.